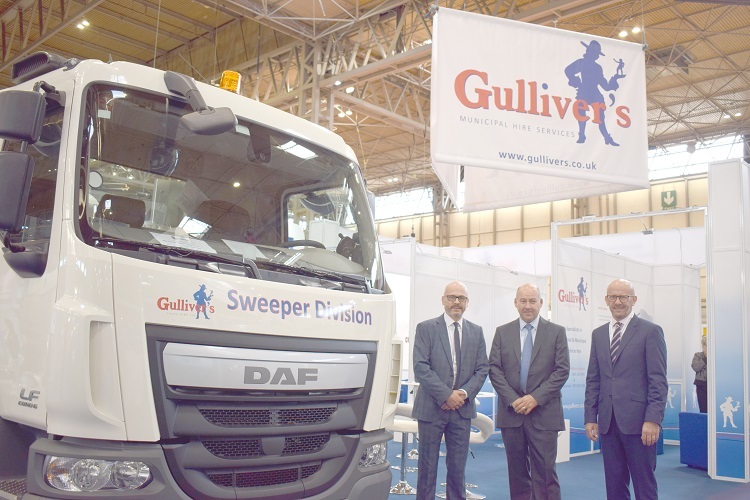 FAMILY-RUN business and regular WASTE exhibitors, Gulliver’s Truck Hire Ltd, will be exhibiting on Stand B at WASTE ’18, July 5. Whether customers need a vehicle for a day or a long-term fleet of specialist vehicles, Gulliver’s have the flexibility and expertise to meet all requirements and expectations. Gulliver’s Truck Hire’s packages maximise productivity and reduce vehicle downtime with customised vehicle configurations for client’s waste and refuse applications. Jason Maddern, UK Sales Manager, added: “The team at Gulliver’s is very much looking forward to exhibiting our latest vehicle at this year’s WASTE ’18 show at the Warwickshire Event Centre in Leamington Spa. Whether a customer requires a van for a day or a fleet of specialist vehicles for years, Gulliver’s have the flexibility and specialist expertise to meet every requirement and expectation. They take pride in helping customers obtain the optimal vehicle for the optimal route. Gulliver’s work closely with businesses and individuals throughout the entire rental process, in order to uncover new opportunities to boost fleet productivity. The company was founded by Chairman Gabe Harding, who comes from a family of butchers, and had his own butcher’s shop based in Bedminster, Bristol. 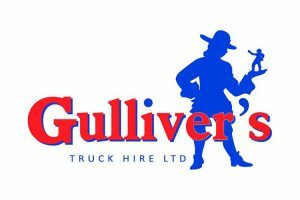 That same weekend Gabe’s family car was sold, two Ford Anglias were purchased, and an additional phone line was installed to take calls for his new car hire business – quickly establishing Gulliver’s Travels, which was rebranded as Gulliver’s Truck Hire Ltd. In 1960, rental prices started at just 17/6 for an evening hire, and £1.15s for the day. From day one, Bristol-based Gulliver’s Truck Hire Ltd have recognised customers and industries face very different challenges. Today, three generations work within the business, as Gabe is supported by his sons and grandson – MD Philippe Harding, Director Nic Harding and Oli Harding, Operations Director. They now have a nationwide fleet of 5,000 late registration vehicles, ranging from small vans to 44 tonne tractor units, tippers, RCVs, traffic management vehicles, gully emptiers and vacuum tankers. Gulliver’s Truck Hire Ltd also provide a nationwide service, with eight locations in the UK and 24/7 service maintenance. Jason added: “Since 1960 we have provided our customer’s with flexible rental packages and competitive rates, backed up with 24/7 after sales support. The rental firm provides customers with high quality vehicles, maintained to an exceptional standard in their own workshops. For all attendees, visitors and exhibitors, Gulliver’s will be delighted to answer any questions regarding requirements and needs.